Stonewashed canvas with traditional woven cotton swatches. 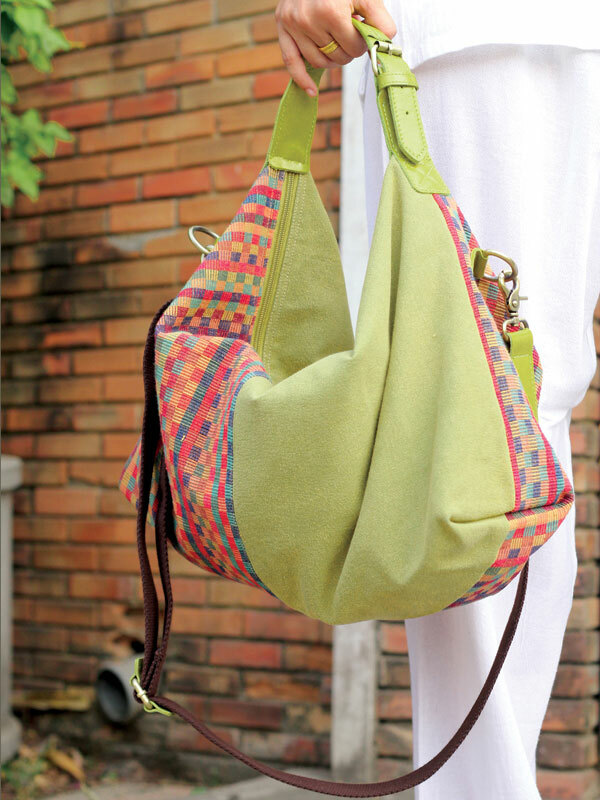 Leather handle, cotton shoulder strap and brass fixtures. Zip pocket and 2 patch pockets inside. The village of Mae To La is the home of an ethnic tribe called the Pwo Karen. Although it is isolated from nearly every aspect of modern life, it possesses a rich natural environment refreshed by the Moei and Youm rivers. The eighteen villages where they Pwo Karen reside, are united by shared beliefs, customs, and traditional folk knowledge that have been passed down generation to generation, largely uninfluenced by the outside world. This knowledge manifests itself in their remarkable skill from all other Thai hill tribes. The transformation from thread to textile is a long process which requires many steps and careful precision. 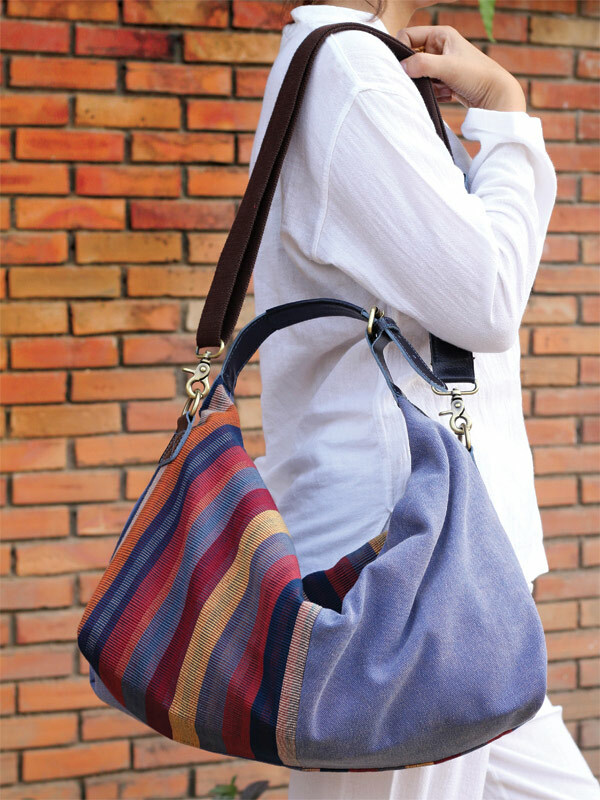 Each bag is handmade using the woven fabric from the Pwo Karen tribe with stone washed canvas for a one of a kind look and feel. Size : H 12" W 17" L 6"